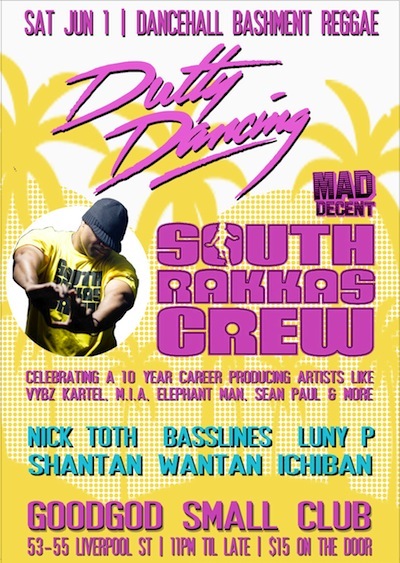 South Rakkas Crew is the go-to-guy for crossover Dancehall hits. Since joining Diplo’s label, Mad Decent, SRC has been producing for artists such as M.I.A., Bounty Killer, Elephant Man, Diplo, and T-Pain. With a worldwide reputation for some seriously pumping sets, SRC will be playing a set of Dancehall, Reggae, and bashment to have the place heaving!